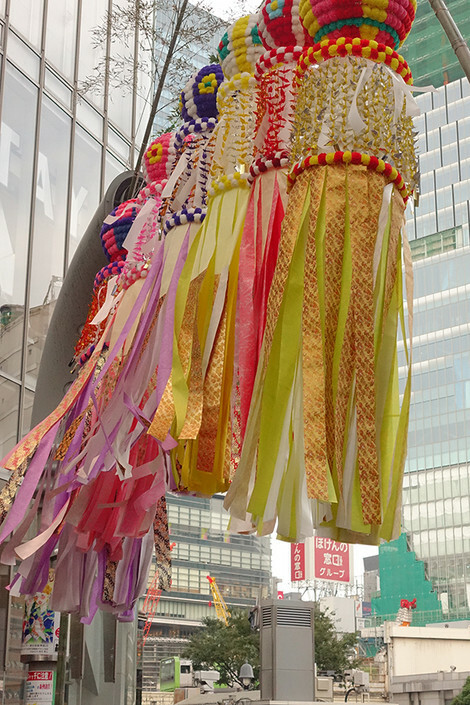 The Tanabata decorations swung above the busy street in Shibuya. It's too flashy streets to find the decorations. So they are not noticeable but will have been decorate Shibuya for the 7th in August. It's Tanabata day of the lunar calendar. Why don't you look up the sky and feel the atmosphere of Tanabata?